Affirmative action punishment. High School suspends white class president after he is attacked by a black student. This is an issue this website has been talking about for years. For decades many public schools have been punishing white students when they are attacked by blacks. This is done in the name of political correctness. Public school officials tip toe around black behavioral problems out of fear of being called “racist.” Now race based affirmative action school discipline is out in the open. The Obama administration has been mandating that schools should only suspend black student in an equal proportion to the number of white students suspended, despite the fact that black students misbehave at far higher rates. Sounds a lot like Nazi Germany doesn’t it? It’s preposterous to say the least. Black hate crimes against whites are an epidemic in America and at pandemic levels world wide! This is what happens when schools are ordered to suspend an equal percentage of white students as they do black students, regardless of who misbehaves more. This of course is carefully planned by our socialist government in order to fulfill their agenda of white genocide. A white student who is senior class president and has a 4.4 GPA was attacked by a black male student in front of numerous witnesses. The black male student had allegedly been sexually harassing the victim’s fourteen year old sister at school. When confronted by the victim, the victim’s father, and a school security guard, the black male student became violent and attacked. Can you see what’s happening in America today? 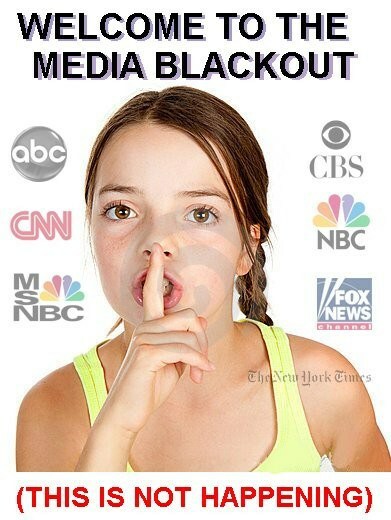 Every day, you hear “black lives matter” from all media: TV, Twitter, Facebook, etc. Whites and blacks alike are wearing “black lives matter” tee shirts. To me, all lives matter! What’s not being reported is that there are much more black-on-white crimes being committed in this country, but the only story that was broadcasted 24/7 was the one horrific white-on-black crime against a mostly black community in Charleston, SC where a white, 21-year old racist / terrorist, Dylann Roof, opened fire and killed nine innocent black parishioners during a prayer meeting in Emanuel African Methodist Episcopal Church on June 17, 2015. I cried when I heard about this senseless, vicious crime because they did nothing to incite this vicious hate crime that Roof committed. Of course, what happened in South Carolina was an atrocity, and the whole country came together and mourned the senseless loss of beautiful lives lost at the hands of that despicable racist / terrorist pig. There wasn’t even one white person who celebrated that horrific tragedy. However, just this past weekend, in Cincinnati, a white guy was viciously attacked and beaten unconscious by black thugs after a “hip hop” concert, and the attack was celebrated by some in a mostly black crowd. There was absolutely no public outcry from the black community on this senseless vicious act of violence from blacks on an innocent white guy who did nothing to incite this vicious hate crime. Apparently, “hate crimes” and “racism” are one-way streets in America. 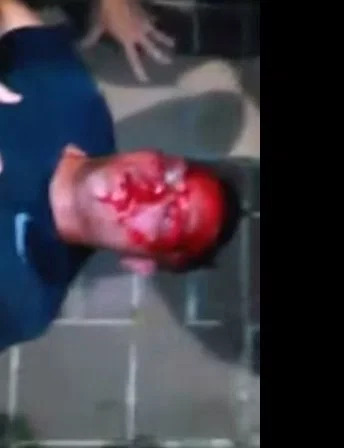 A video posted Sunday shows the bloodied victim of a racial attack in Cincinnati during a race riot in Fountain Square on Saturday night. The white man was beaten unconscious following a hip hop and electronica Fourth of July concert. The video shows a mostly black crowd gathered around the white male victim laid out on the sidewalk. A few are trying to help the unconscious man while others squeal in awe at the blood covering his head. Many onlookers are laughing. One voice can be heard asking for someone to call 911. “So after my 4th of July night from hell I thought I would post the truth as to what went on last night in Downtown Cincinnati. 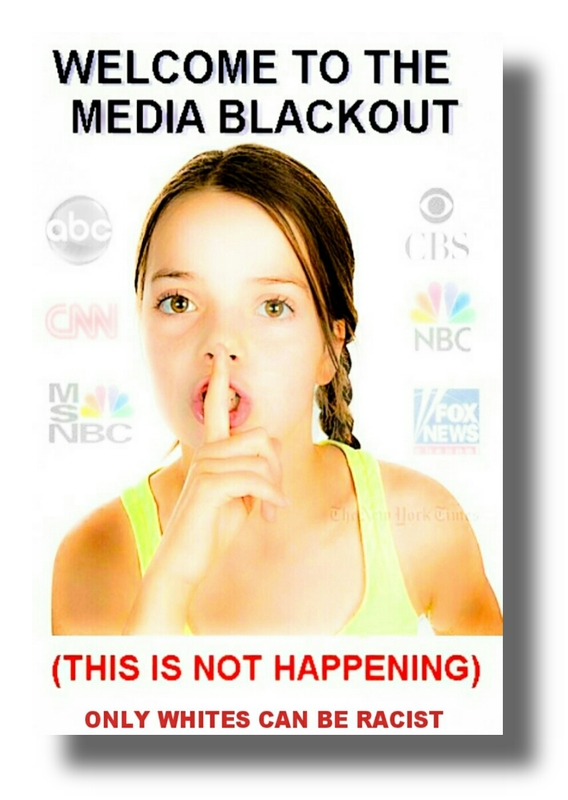 Many news outlets although they were there will fail to report…The Truth. The truth is I’m sitting in the district catching up on reports when an officer needs assistance comes out over the radio on Fountain Square. My partner and I scream down there to help out. I get down there to see glass bottles flying everywhere from a mob of out of control misguided youths. Okay that was a nice way of saying a bunch of thug idiots. They thought it would be appropriate to throw these bottles at police officers. While dodging these bottles I found one officer that was actually punched in the face by one of these assholes. Luckily he was apprehended. This was just getting started. We get this guy in custody, and it’s the second year in a row I have a tasing in this area on July 4th…guess it’s just not my day. So then we form into riot formation with helmets on and begin passing out the shields. Honestly this was the first time I got to partake in this. So we see ahead a scuffle begin and think it’s just a fight. Well not so much, it was like 40 v. 1. I saw 40 v. 1, it was 40 black youths stomping the crap out of one unlucky white white. He didn’t do anything to deserve this beating except walking while white. I’m going to skip all the rhetoric and just say don’t we all matter??? This just pissed us all off. Time to rescue or at least try to get these thugs off of him. So we were sent in with shields and arrest team to do a victim rescue. Feel bad for the guy since he nor anyone deserved a beat down like that for no reason. The next hour or so was just getting these assholes out of the area and back to where they came from. I hope every one of the people who threw a bottle, fired a handgun, threw fireworks at us, and most importantly beat that poor guy within inches of his life get what they deserve…in this life or the next. To make matters worse it was like a perfect storm with the Reds game getting let out at the same time we were for a lack of a better phrase, being attacked! “I felt like I had to tell the truth and get the word out there from one of the men on the front line. We as an American Society and Cincinnatians need to get our (act) together because these types of interactions are going to increase. I say it again, this stuff is increasing not only here at home but across the country. Apparently, reporting on crime is a crime. Colin Flaherty, who chronicles racially motivated violence by blacks against whites, awoke Thursday to find YouTube had terminated his account. The company also didn’t respond to a WND request for comment. But Flaherty suspects he knows what is going on. YouTube previously temporarily suspended WND’s YouTube channel for featuring Mike Huckabee’s comments on transsexuals. However, Flaherty said he was not creating offensive content but simply chronicling the objective reality of certain crimes by posting videos, firsthand reports and other evidence to show his subscribers what was really going on. And the response was massive. “My YouTube channel was getting 1 million views a month, generating about 5 to 10 million minutes of viewing. There were 25,000 to 50,000 comments a month, and 15,000 subscribers. And all of those numbers were growing 20 percent per month,” he said. Flaherty denies the accusation that his channel was somehow racially insensitive. Flaherty believes he was creating such a “fantastic” response from the public because he was addressing issues no one else would. 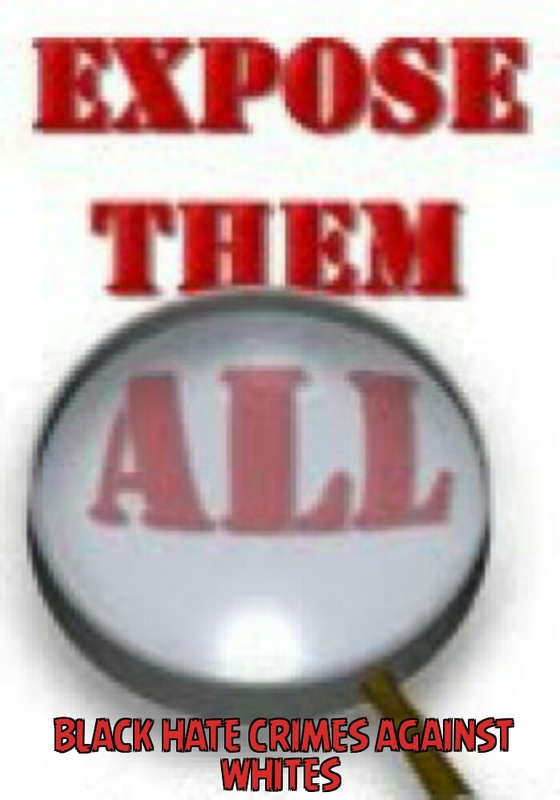 “My channel documents how the media ignore, deny, condone, excuse, encourage and even lie about these kinds of crimes. I filled a vacuum, and the people responded to that. “And all of this was based on facts and evidence. We produced videos, 9-1-1 calls, police reports, eyewitness accounts and statements from victims who all said the same thing. ‘Something very wrong is happening here, and we have to pay attention to it,’” he said. YouTube removed many videos Flaherty had posted and still will not tell him why. 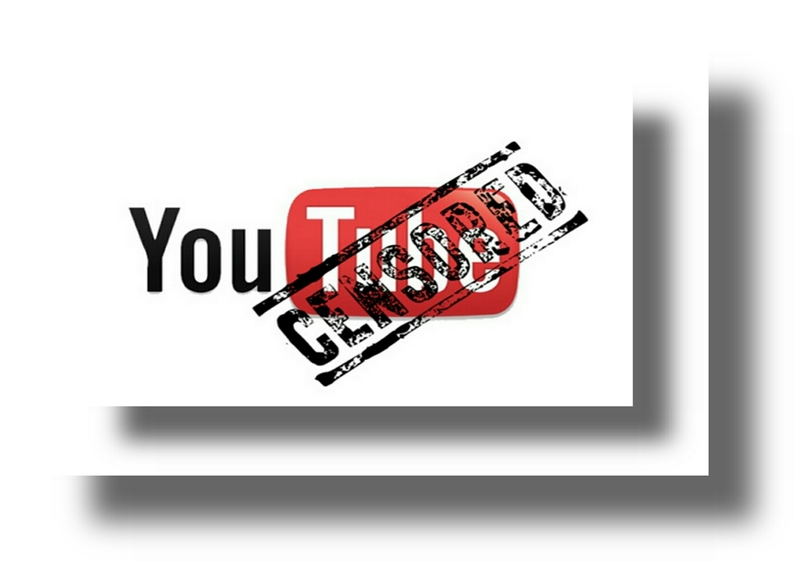 WND columnist Jack Cashill says he is disgusted but not surprised at YouTube’s actions. “‘In a time of universal deceit – telling the truth is a revolutionary act,’ said George Orwell, and by that definition, Colin Flaherty is a true revolutionary and a brave one,” Cashill told WND. The author of “Scarlet Letters: The Ever Increasing Intolerance of the Cult of Liberalism” slammed YouTube as simply another part of a corrupt media establishment he believes is actively concealing the truth from the American people. Flaherty said his work will continue regardless of YouTube’s decision. Flaherty stated his audience will still be able to find much of his reporting. The journalist says his audience is what is keeping him going. “Here is the big picture: We do not need to get angry at YouTube or anyone else. We need to get more determined to expose the insanity behind the violence and denial. I will not stop. And this will not stop,” he said. Dawna Bowles published an article on WordPress.com. [(C)2015] All materials are copyright unless posted otherwise.